In order to make sure that the maximum number of people are able to get their new Kindle purchases in time for Christmas, Amazon has decided to offer Free Two Day Shipping to anybody who completes their transaction before 8pm Pacific Time (UTC-8) on December 21st. 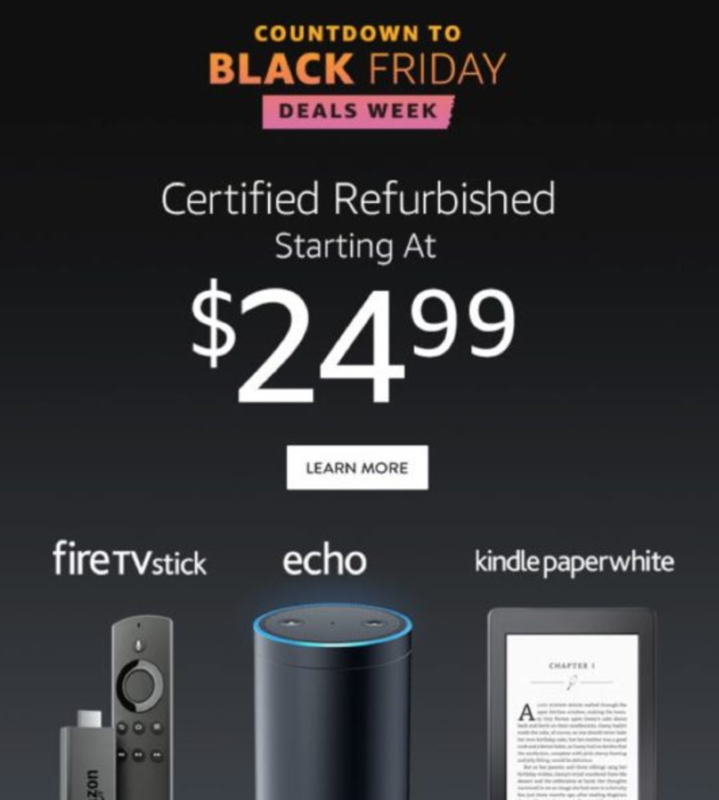 This offer extends to every model currently available, from the $79 Kindle 4 to the $199 Kindle Fire tablet, and will cover shipping to any location in the continental United States. The Kindle line, and eReaders in general at this point really, make excellent gifts. The price has come down to the point of being practically large-scale impulse purchases, and the fact that you can expect ongoing support and content updates for the indefinite future makes a strong case or the practicality of ownership. 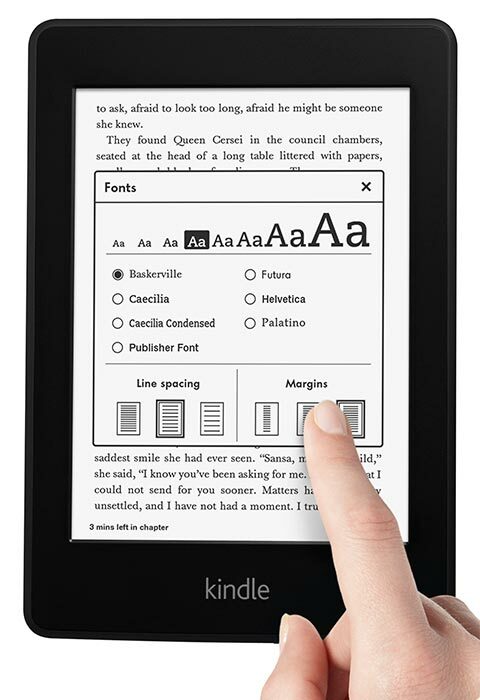 Owning a Kindle eReader provides access to practically any title on the market today at the touch of a button with no need to worry about shipping, travel, or retail crowds. This last one is likely to be a welcome benefit for people doing their holiday shopping this late in the year. Additionally, according to Amazon the Kindle Fire is the most gifted, most wished for, bestselling item on the entire site and has been since before it was even released. 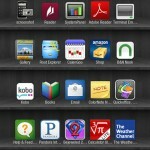 Like the eReader counterparts, it provides users with access to a huge library of content. In addition to eBooks, you can also draw on a large App Store, all of Amazon Instant Video, and basically any digital content Amazon handles. Top that off with access to services like Netflix, Pandora, Hulu Plus, and other content streaming services and you have a media consumption experience it is hard to argue against. Keep in mind that each Kindle Fire comes with a month of free Amazon Prime membership and the access to all the benefits that that entails (free Instant Video selections, free 2-Day Shipping, etc), which means that anybody who gets one as a gift will have a chance to most of its more enjoyable features even without any post-purchase investment. 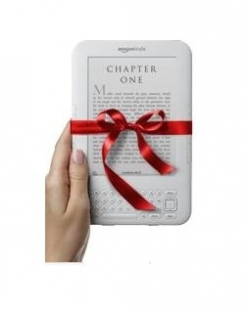 Keep in mind when considering Kindles as gifts that you can also include eBooks to go with them. At present, all US customers have the option of choosing to gift a Kindle Edition eBook to anybody with an email address. This will work as a cheaper gift option for anybody who might already be using a Kindle app for iOS or Android, incidentally. Also, while I have no personal experience with the feature, you can also apparently also schedule your purchase’s delivery for exactly when you want them to get it. This could help a lot when it comes to scheduling since, even with instant delivery and a smartphone, it is annoying to be making last second gift acquisitions. If you’re interested in taking advantage of Amazon’s offer, keep an eye on the clock. This will certainly not be extended, given their lack of direct control over shipping matters. When it comes to video games, Bethesda’s The Elder Scrolls franchise is a giant and the latest installment, Skyrim, received an almost ridiculous amount of attention in the months leading up to its release. It’s one of the largest, most ambitious developments in the genre so far and the depth of the game world is such that you’re faced with around 16 square miles of highly detailed world space packed with interactive content. Now, fans can take some of that to go on your Kindle thanks to a big fan who took the time to reformat some of the in-game text for eReaders. In various places throughout Skyrim players are likely to come across books. Some are obvious, others might require some fairly extreme efforts to get to. Regardless of their “physical” situation, they serve to enrich the game world by offering interesting bits of history and culture built up across thousands of simulated years. The writing is surprisingly good, if predictably cliched for the most part. When put together they make up a huge collection of relatively short stories and articles. The eBook that Skyrim fan Capaneus put together contains literally every bit of book text in the game. It seems that upon inspection it was discovered that the entirety was contained in unencrypted text files that were somewhat easily broken down and arranged. As a result, interested readers can now check it all out on their eReader of choice. There is even a table of contents to make it simple to find whichever piece of literature might be particularly interesting to you at the moment. The whole file is just over a megabyte worth of text, amounting to slightly less than 2,000 page turns on my usual reading settings. Your own may differ, of course. It has been made available both in EPUB and Mobi, so practically any modern eReader, phone, computer, etc. should be able to display it without trouble. While it is entirely possible that the legality of this distribution is questionable, given that it is game data that might be picked up by people who don’t own the rights to use the game, real problems seem unlikely. This is, when it comes right down to it, exactly the sort of added value content that many media distributors would kill for. Owners of the Kindle w/ Special Offers might recall an ABC offer back in October that allowed users to pick up a free copy of the script to one of their new pilot episodes. This is essentially the same idea. While I consider it unlikely that this will set the trend for future use of eReaders as venues for promotional material built along these lines, it’s also hardly the first time that fans have found ways to bring content to the Kindle in unexpected ways. Should the Kindle Fire take off in the long run, of course, things may be very different. Allowing a TV network or publishing company to throw up additional content for limited periods of time via an app might just make it worth the effort in a way that is not currently the case. Time will tell, but either way we can see the importance of Kindles as advertising avenues increasing.